The Jes Rowing Club at Home Day was held on Sunday 1st July with rowing available to all from 2.00pm to 6.00pm. Beginners and those wishing to try out rowing for the first time rowed in Tourboats, with experienced rowers and coxes. More experienced former rowers were in eights. Our Alumni Club Club Ramhaíochta Naoimh Iognáid, which is open to all, was also officially launched on the day. Fr Murt Corry blessed our new tourboat, the 'Peadar O'Féinne S.J' at 4.00pm. When Fr. Curry first began rowing with CIRC, in the '60s, Fr. O'Féinne was the person in charge the club. 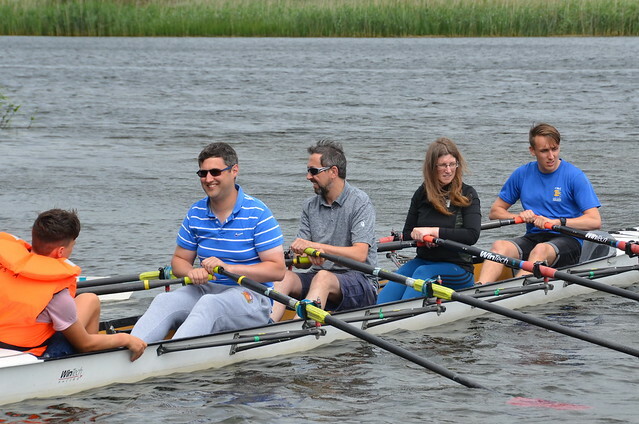 It was a very relaxed and enjoyable day, where former rowers took to the water again and many parents gained a newfound respect for their children's rowing abilities, learning first-hand just how difficult it is. We have some photos of the day available, below. We hope to add more photos to this album shortly.